It doesn’t need a lot of equipment to see something interesting in a small specimen collected on a country walk. The cliffs in Dorset are a great place for a stroll, or for a longer walk. There is the possibility of finding a significant fossil in the rocks on the beach which can be photographed and later identified. The rocks at Worbarrow are a complex mix, see Ian West’s description and images to help understand the sequences. 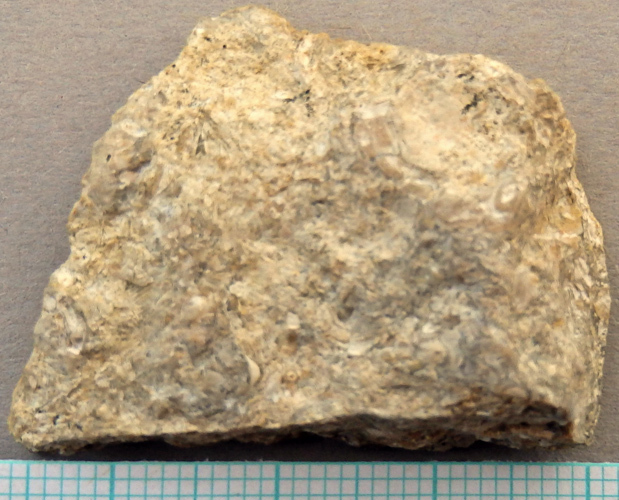 Sometimes it is smaller fragments of rocks which show the best microscopical detail. I picked up a small stone from the ridge leading down to Worbarrow Tout. The texture intrigued me and as this was a loose stone I felt it could be removed and taken home to look at in more detail. This is what the stone looked like when it was washed and dried. 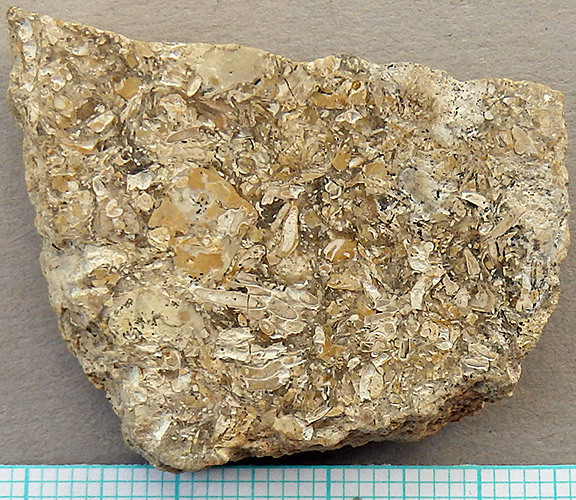 It looked a bit lumpy and there were some light coloured bits suggesting it was fossiliferous. 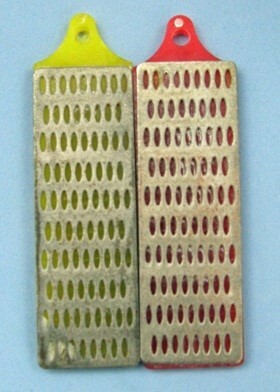 To see what was in it more clearly, one surface was ground flat on a small diamond plate, sold as a knife sharpener. Now we can see that the stone seemed to be chock full of microfossils. To see the fossil remnants more clearly you do not need a lot of equipment. 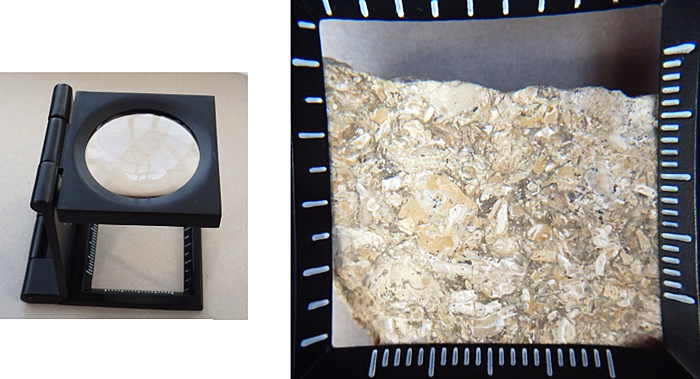 A simple magnifier like the one shown and a small pocket microscope can show a lot. The photographs were taken with a compact camera pointed above the lens of the magnifier and pocket microscope. They show the remnants of small shelly fossils – things that were alive millions of years ago when the area was a sea. So even with a modest amount of equipment, exciting things can be collected and subsequently examined.